This was a quick read for me which I enjoyed. All of the stories had a bit of loveliness. 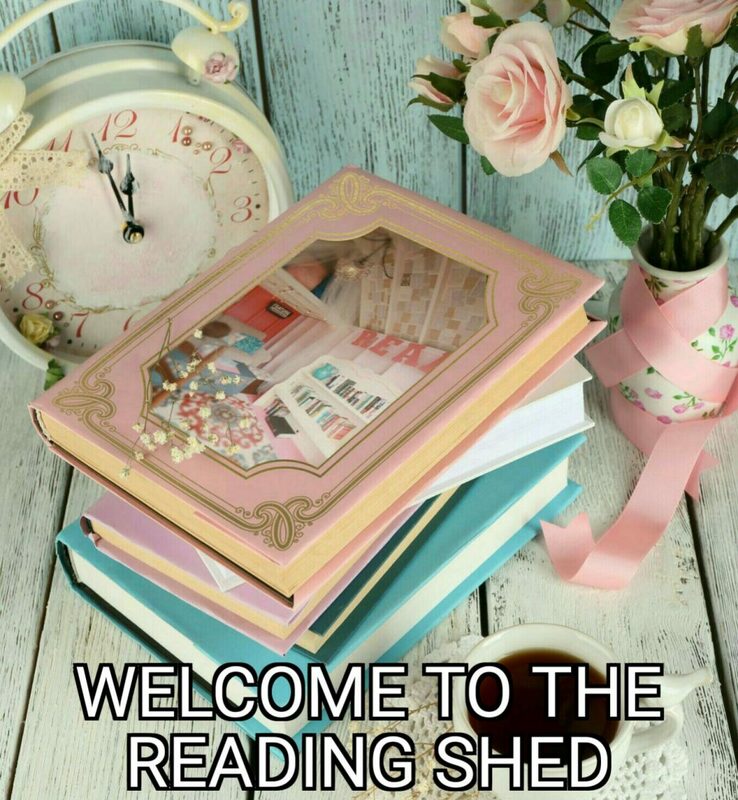 Romance, Laughter, Heartache, Great Characters. I love JoJo’s work, she makes me smile. This book is a must have for everyone’s handbag. ‘Moyes somehow manages to break your heart before restoring your faith in love’ Sunday Express A collection of 11 unmissable short stories from the number 1 internationally bestselling author of Me Before You and After You Nell is twenty-six and has never been to Paris. She’s never even been on a romantic weekend away-to anywhere-before. Travelling abroad isn’t really her thing. 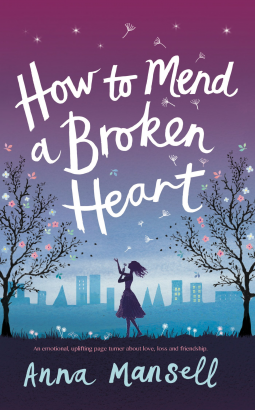 But when Nell’s boyfriend fails to show up, she has the chance to prove to everyone-including herself- that she can be independent and intrepid. Alone in Paris, Nell finds a version of herself she never knew existed . . . In the ten other stories, Jojo Moyes introduces us to a cast of strong, relatable women in the midst of their everyday lives. In Honeymoon in Paris, featuring characters from her bestselling novel, The Girl You Left Behind, Liv and Sophie – though decades apart – both find that marriage is only the beginning of their love stories. In Crocodile Shoes, a businesswoman’s blossoming confidence emerges from a fateful changing-room mix-up. And in both Love in the Afternoon and A Bird in the Hand, two couples dance around the trickiness of long-time marriage. In this irresistible collection, readers will be whisked from elegant perfume shops to taxis to five-star hotel rooms and more. Jojo Moyes always makes the ordinary moments in life extraordinary. 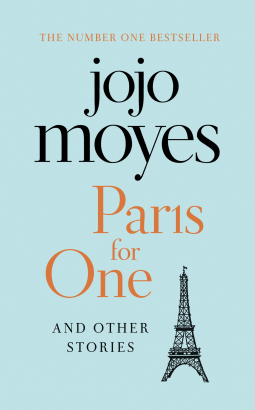 Funny, charming, and unmissable, Paris for One and Other Stories is Moyes at her best. #Bookreview  The Wonderful Publishers @MichaelJBooks, once again have not let #readers down with this new book by @NikkiM3. Joni, Trina, Deb and Eden. Best friends since the first day of school. Best friends, they liked to say, forever. But now they are in their thirties and real life – husbands, children, work – has got in the way. So, resurrecting their annual trip away, Joni has an idea, something to help them reconnect. Each woman will write an anonymous letter, sharing with their friends the things that are really going on in their lives. But as the confessions come tumbling out, Joni starts to feel the certainty of their decades-long friendships slip from her fingers. Anger. Accusations. Desires. Deceit. And then she finds another letter. One that was never supposed to be read. 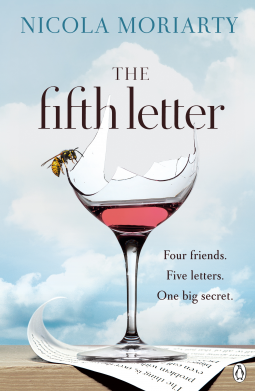 A fifth letter. Containing a secret so big that its writer had tried to destroy it. And now Joni is starting to wonder, did she ever really know her friends at all? #BookReviewer Oh @HQDigitalUK how I love you for having such fabulous writers like @Writer_Jenn. I adored the name of this book, there is something about teashops, coffeeshops, bookshops, antique shops and the like, in titles of books that draw me to them and this has the added bonus of a very pretty cover too. What more could this Yorkshire girl ask for. I loved the romance the (speed dating was fun) and those cakes sounded gorgeous I am pleased my book wasn’t edible or I swear I would have piled the pounds on reading this scrumptious warm romantic book. The characters all gelled well and Jennifer’s writing really is heartwarming. 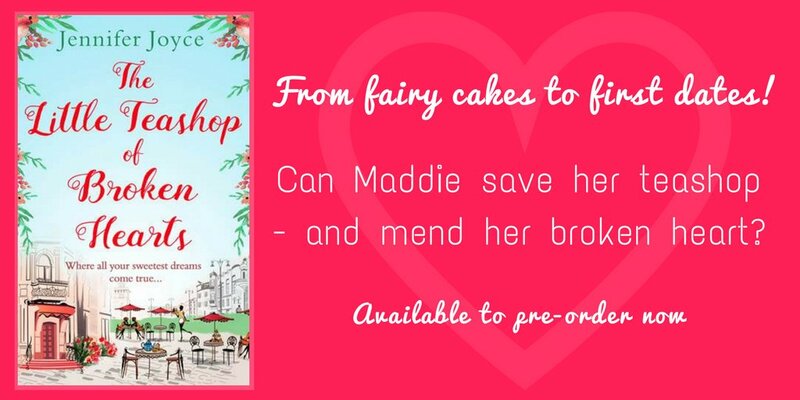 A deliciously charming romance, perfect for fans of Caroline Roberts, Jane Linfoot and Debbie Johnson. #BookReviewer #BritCrime .. 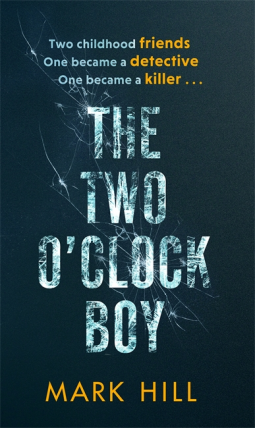 Thank You @LittleBrownUK @markhillwriter @NetGalley for yet another great book to get my mind blowing! This certainly did that from the very beginning. 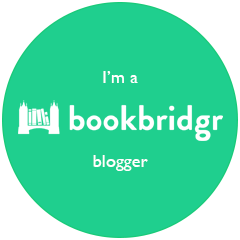 I had no idea who I should trust, I like books like that, books that keep me guessing right until the very end. This did just that with all its twists and turns and cold and calculating characters. Boy it was a good one. In the bestselling tradition of Brain on Fire and A Stroke of Insight, an incredible first-person account of one woman’s journey to regaining her language and identity after a brain aneurysm affects her ability to communicate. Lauren Marks was twenty-seven, singing karaoke with a friend, when an aneurysm ruptured in her brain. She woke up in a hospital with serious deficiencies to her reading, speaking, and writing abilities, and a diagnosis: aphasia. Shocking news to anyone, but for Lauren it was devastating. As an actress, writer, and voracious reader, her entire identity was crafted upon a language that her brain now couldn’t access. Forced to give up her independence, Lauren returned to her parents’ home to struggle with a stifled inner monologue, fractured sense of self, and a broken memory. At the urging of her speech therapist and encouragement of her parents, Lauren began to chronicle her recovery. 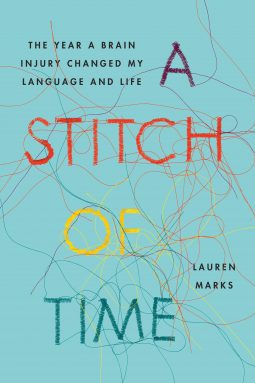 A Stitch of Time is the remarkable result, the story of a brain slowly piecing together a forgotten language—an Oliver Sacks-like case study, but written by the patient herself. With clinical research about aphasia and linguistics interwoven with deeply personal journal entries marking her progress, Lauren affords a rare glimpse into a mind in construction. Over time, frustration leads to fascination as Lauren re-learns and re-experiences many of the things we take for granted—reading a book, understanding idioms, even sharing a first kiss. A story about language and identity, A Stitch in Time presents an unforgettable journey of self-discovery, resilience, and hope. As Lauren navigates the ups and downs of her year post-rupture and tries to reconcile “The Girl I Used to Be” with “The Girl I Am Now,” she finds herself as she finds her words. 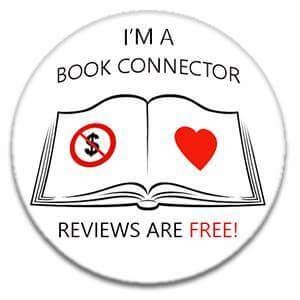 #BookReviewer. There was something about the cover of this book which I really liked and @FaberBooks kindly whizzed this book over to me via @NetGalley and written by @ChibunduOnuzo. What a wonderful writer Chibundu is, who certainly seems to have researched before putting pen to paper. This book is so powerful and heart wrenching, I cried. Each of the seven main characters who are thrown together have a story to tell and boy they certainly are descriptive. I cried and felt I was so lucky to live in the country I live in. This was one truly powerful and thought provoking novel which I know will be remembered for a very long time. A powerful and provocative portrait of contemporary Nigeria from a celebrated young novelist. When army officer Chike Ameobi is ordered to kill innocent civilians, he knows that it is time to leave. As he travels towards Lagos, he becomes the leader of a new platoon, a band of runaways who share his desire for a better life. Their arrival in the city coincides with the eruption of a political scandal. The education minister, Chief Sandayo, has disappeared and is suspected of stealing millions of dollars from government funds. After an unexpected encounter with the Chief, Chike and his companions must make a choice. Ahmed Bakare, editor of the failing Nigerian Journal, is desperate for information. But perhaps the situation is more complex than it appears. 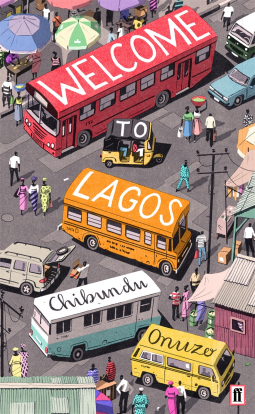 As moving as it is mesmerising, Welcome to Lagos is a novel about the power of our dreams for the future and the place of morality in a sometimes hostile world.